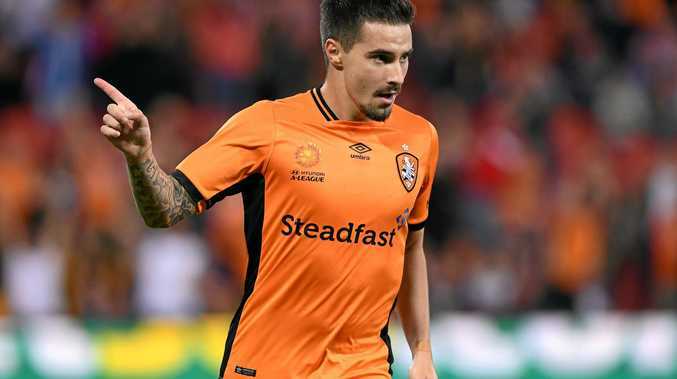 JAMIE Maclaren's agent has denied reports that linked the Brisbane Roar striker to Manchester City in a report that circulated partway through the club's elimination final win over Western Sydney Wanderers. The Socceroos marksman, whose future has been the subject of much speculation, scored a second-half goal that took the final to a penalty shootout, which Brisbane won 6-5. After the game, he was told of the report, and his agent's denial, and asked what it was like to play amidst the constant transfer speculation. "You've got to challenge yourself," he said on Fox Sports. 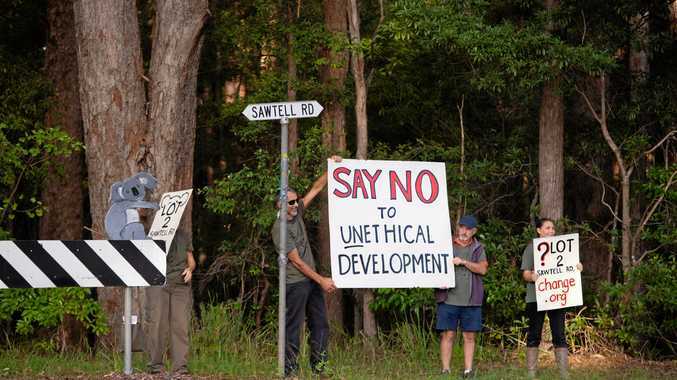 "For me, it's being young and you've got to deal with these situations. "Halfway through the season I was dropped and stuff like that and I've overcome those things with the support of my coaches and my teammates. "That gets me through the tough times - it's just being positive and confident." Earlier in the evening, The World Game reported that City had struck a deal with Maclaren similar to Luke Brattan and Anthony Cacares, with the Premier League club to loan him back to Melbourne City. The City Group currently also has Aaron Mooy on its books, and the midfielder, who shares an agent with Maclaren, has excelled on loan in the English Championship with Huddersfield.